Item # 311257 Stash Points: 3,495 (?) This is the number of points you get in The Zumiez Stash for purchasing this item. Stash points are redeemable for exclusive rewards only available to Zumiez Stash members. To redeem your points check out the rewards catalog on thestash.zumiez.com. 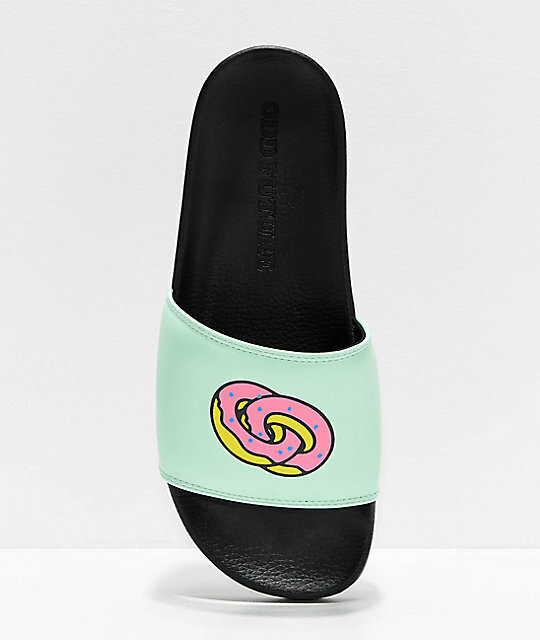 Slide into comfort and hip-hop-inspired style with a pair of Odd Future Black & Teal Slide Sandals. 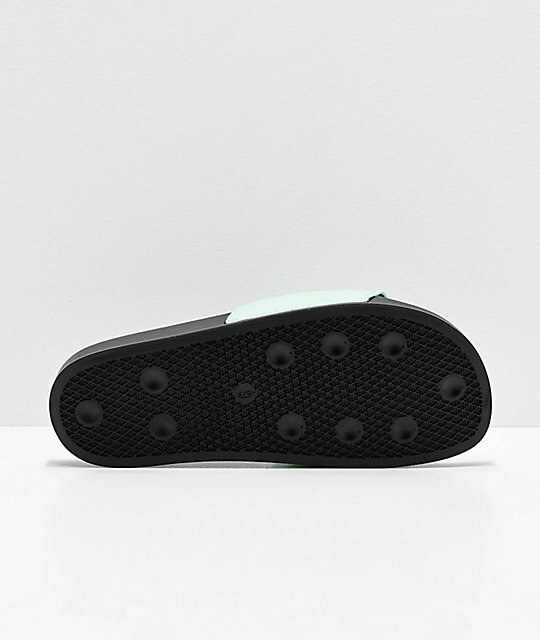 A teal colored faux leather strap features intertwined donuts pictured on top, while a contoured footbed and textile liner keep you comfortable all-day-long. 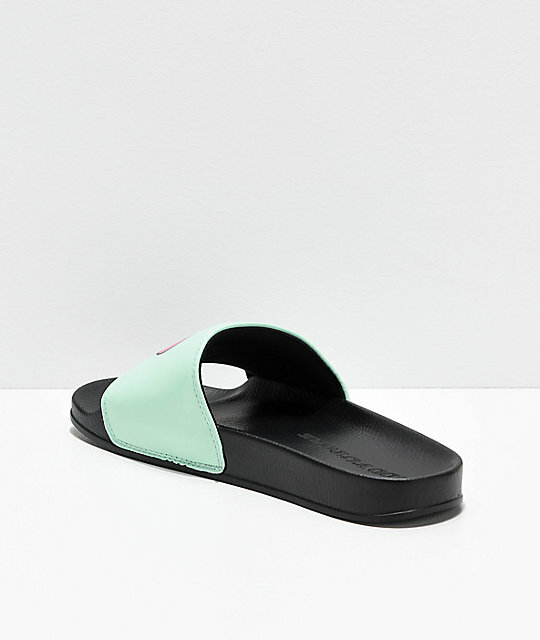 Black & Teal Slide Sandals from Odd Future. 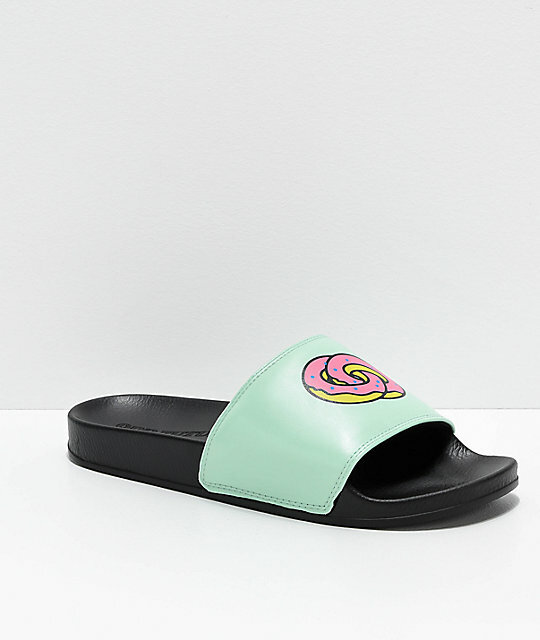 OF donut graphic on teal, faux leather strap.